If you watched Lost's exciting 2 hour finale last week, you would have briefly seen Alex Petrovitch (C'01, Member of Sigma Chi Fraternity, Men's Varsity Soccer, Men's Cycling) featured in the last 15 minutes of the show. Click here to find out which scene he was in last week and what other pivotal episode he was in! Alex reprised his role as " " on Penny Whidmore's boat that rescues the Oceanic 6. He was on for 5 seconds but he got facetime and a line or two! 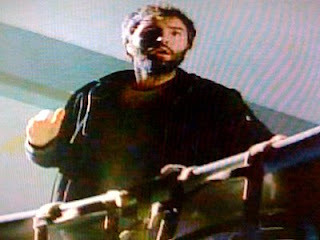 Alex also had appeared in the cliffhanger scene from the Season 2 Finale when he was one of two men in the arctic who made contact with the missing group of travelers of Oceanic Flight 815. Check out our Penn Actor Headshot Hotties gallery! 20 New Photos from Transformers 2 at Penn! Check Out His Travelling Flea Circus! Major Film Company Wants This Penn Alum's Book!